The Norton Law Group is large and experienced practise that employs lawyers specialising in several different areas of family law including everything from estate planning to custody arrangements. Each lawyer is an expert in their individual field and this allows Norton Law to cast a wide net in terms of its client base. They also offer an initial consultation free of charge. Taking a quick look at their website and you will be able to find more information on the different legal issues they can help you with. The website also explains what family circumstances require different kinds of legal help. For example, couples who have divorced but later remarried are going to have a complex estate planning process – especially if there are multiple sets of children involved. Norton’s estate planning specialists are able to ensure that your will is executed exactly the way you want it to and won’t allow any room for legal challenges to be made against it. 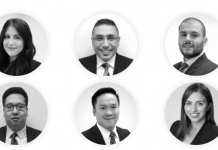 The firm is highly rated in Sydney and it has over 30 years of expertise behind it with principal practitioner and Law Society Specialist Family Lawyer Franco Pomare being one of the highest quality representatives you can get in Sydney. Franco Pomare and Gabriella Arvanitis are well-known and respected in the family court system and has accomplished ideal outcomes for countless clients. In fact, the majority of Norton’s practitioners are accredited specialists in their field. This means that they have specialist training which gives the firm a high degree of excellence and professionalism, especially with regards to highly sensitive family law issues. Above all, respect for the client is maintained at all times. 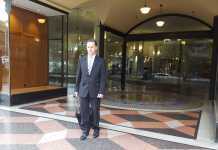 The client’s confidentiality is held with the utmost regards during the entire process of working with Norton. The firm is also accustomed to dealing with other family law issues such as domestic violence allegations, de facto and LGBT circumstances as well as child maintenance. The Norton Law Group is particularly knowledgeable on matters relating to international family law – or when parents travel internationally with children post separation. This is naturally a cause of concern for the other parent as they may fear their child living with a former spouses’ family overseas. 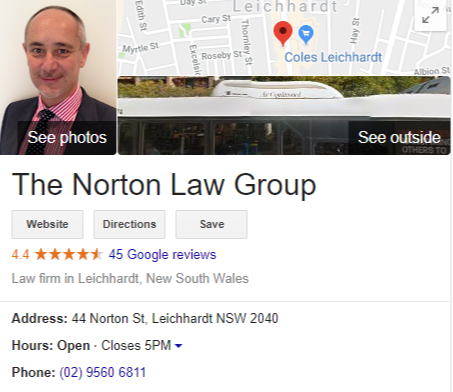 Norton’s lawyers have experience in helping to give parents remaining in Australia peace of mind by restricting a child’s visits to Hauge Convection signatories or by setting up a bond that is only returned when the child comes back to Australia. The firm is highly regarded both within New South Wales and all around Australia for its attention to detail and impressive rate of success, particularly in high profile cases. No matter how complex your family law situation appears, Norton is able to help you navigate the uncertain waters and identify a clear path forward.